Magnolias are my “go to”. I don’t think I will ever grow tired of painting them. As there is more than one way to skin a cat, there is more than one way to paint a maganolia. 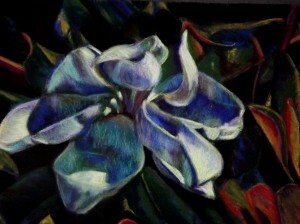 The first one here is an exploration of color on the “white” petals. I teach my art students about shading by using a white egg. They soon learn to really look at the shades of color on that “white egg.” There is no such thing as pure color if you really look. 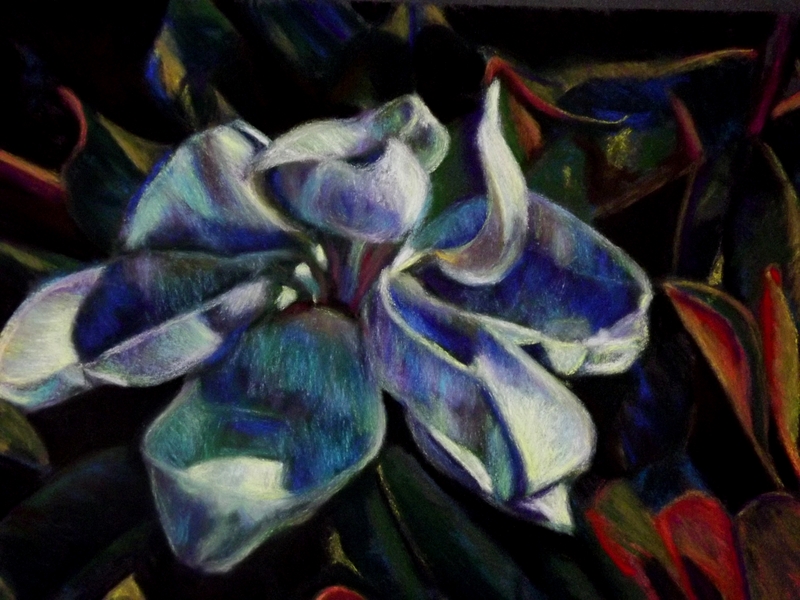 The second magnolia is an exercise in softness and looseness. Being loose with plants is a challenge for me, but I am pleased by this effort. I know it is winter, the trees are bare, and spring seems miles away. 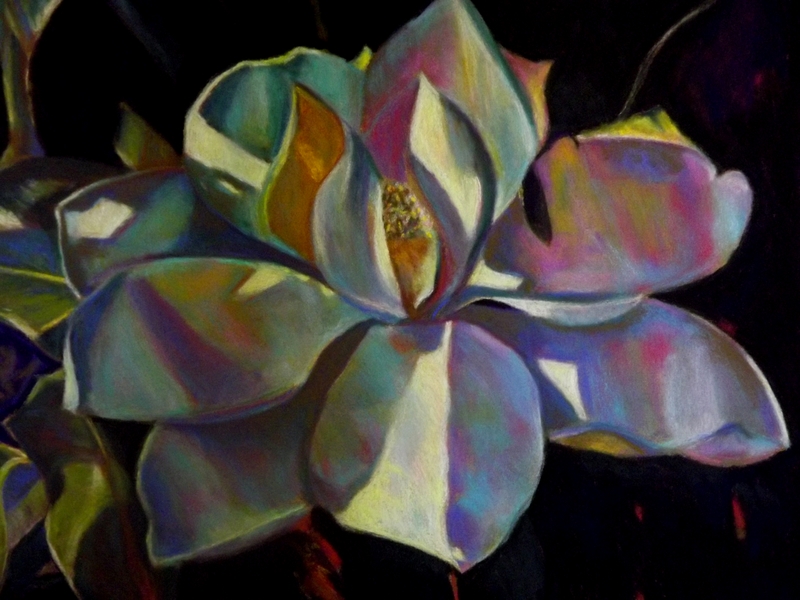 Painting magnoias “off season” is helpful way for me to get through the cold winter.